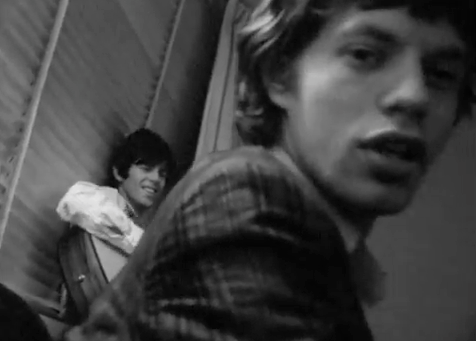 In this short and previously unreleased clip from Peter Whitehead’s 1965 documentary film, Charlie is my Darling, we get to see Mick Jagger and Keith Richards of The Rolling Stones hanging out playing a couple of tunes by The Beatles (“I’ve Just Seen A Face” and “Eight Days a Week”), while Charlie Watts looks on. 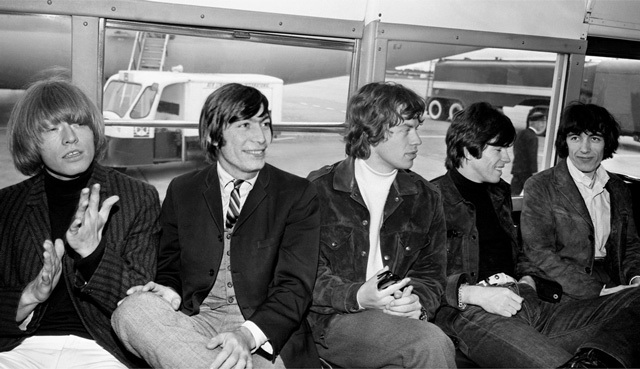 Whitehead filmed the Stones as they quickly toured Ireland for two days in September 1965. For the fiftieth anniversary of The Rolling Stones, ABKCO Films has meticulously restored the film and has made a Super Deluxe Box Set available to pre-order on Amazon. In early November, worldwide theatrical screenings of the film are planned. Here’s the film’s trailer. ABKCO Films presents a meticulously restored and fully-realized version of this first-ever, legendary, but never released film. Shot during a quick tour of Ireland just weeks after (I Can t Get No) Satisfaction hit # 1 on the charts, The Rolling Stones Charlie is my Darling – Ireland 1965 is an intimate, behind-the-scenes diary of life on the road with the young Stones. It features the first professionally filmed concert performances of the band and documents the early frenzy of their fans and the riots the band’s appearances inspired. The band is shown traveling through the Irish countryside by train; dashing from cabs to cramped, basement dressing rooms through screaming hordes of fans. Motel rooms host impromptu songwriting sessions and familiar classics are heard in their infancy as riff and lyric are united. Charlie is my Darling is the invaluable frame that captures the spark about to combust into The Greatest Rock and Roll Band in the World.